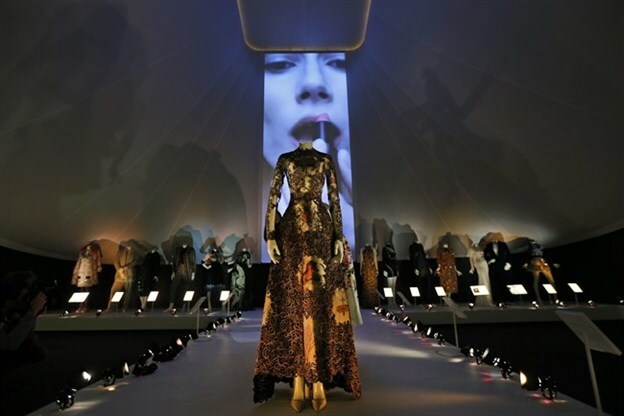 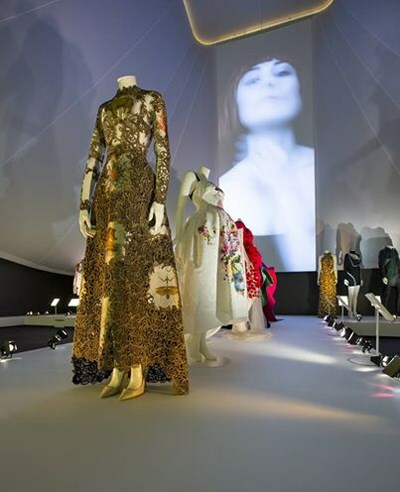 We were delighted to create this stunning backdrop to the catwalk centrepiece at the Victoria and Albert Museum's new exhibition celebrating 70 years of Italian fashion, The Glamour of Italian Fashion 1945-2014. 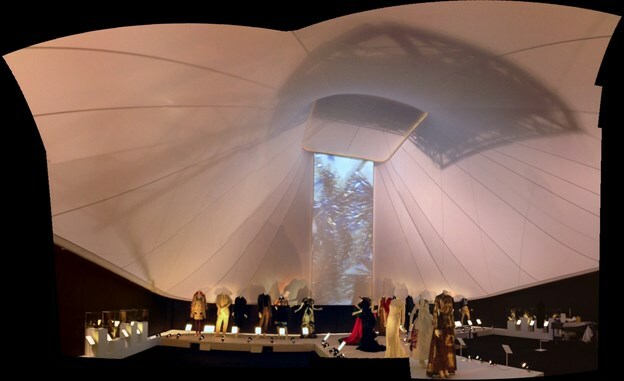 Never before has a Tensilefabric canopy had so many stars beneath it when the exhibition opened! 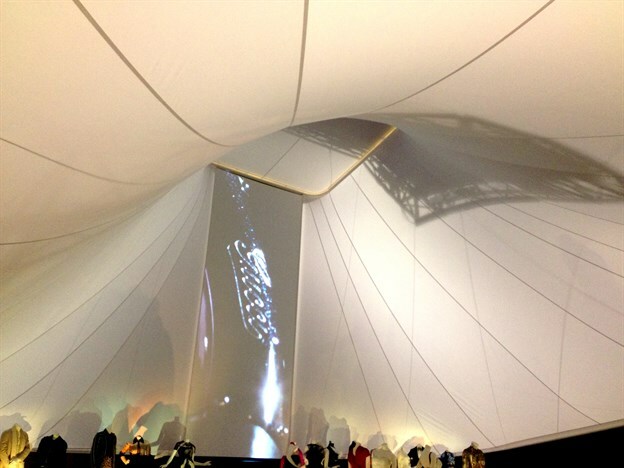 This is actually a classic square cone created on a grand scale, going from 1.5m to nearly 8m from the ground, with one of the aspects having a built-in projection screen. 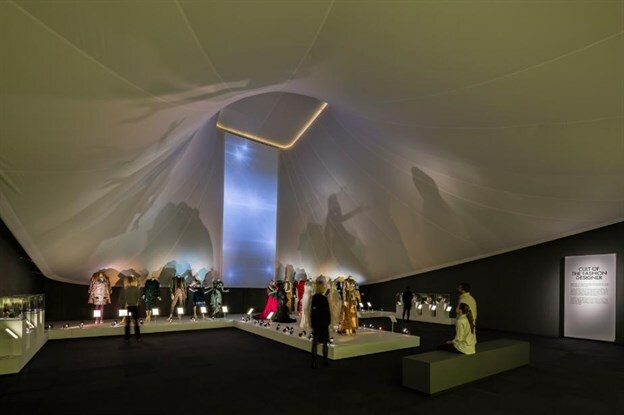 The complete structure hangs from the V&A's motorised truss grid which aided the installation, which took place over a 3 day period. 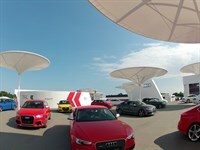 The coated polyester fabric was formed into shaped panels in CAD before finally being stitched together on the loft floor to create this fluted cone shape. 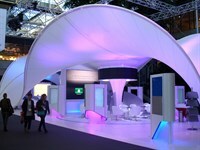 The backdrop provides a huge liner to the space, hiding unsightly existing walls and softening the space completely. 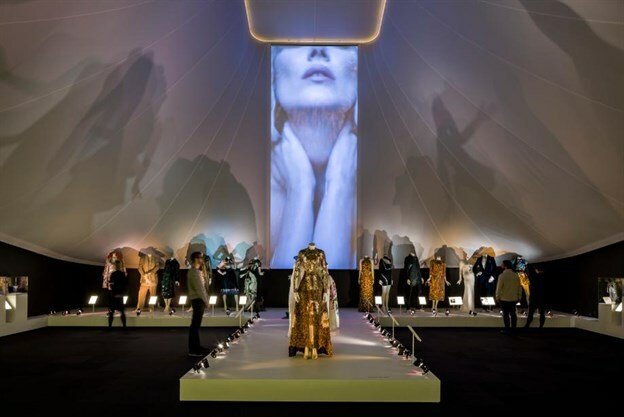 The nature of the tensile fabric form works in perfect harmony with the exhibition itself and the beautiful tailoring of the garments.